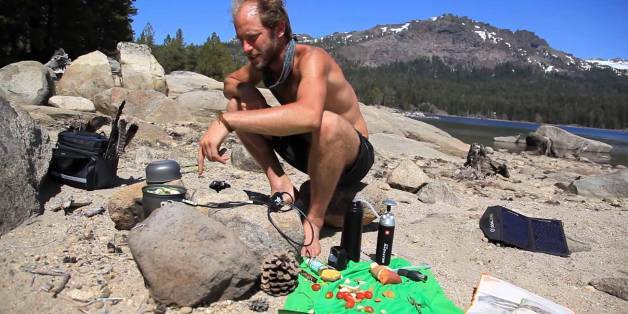 Activist and adventurer Rob Greenfield thinks we can manage our waste better. In his new series, "Sustainable Living", Rob shows that we can manage our trash and create an incredibly minimal impact as long as we're conscious. Spoon, it’s what’s for dinner. Great Bear is one of the last temperate rainforests on the planet. There is little sign of the Republican congressional majority retreating from their embarrassing environmental stance. They continue to take pride in thumbing their noses at the rest of the world even as global cooperation becomes ever more crucial to overcome trans-continental environmental challenges. Aol.Rise morning show 175th edition airing live on September 23rd, 2015. Today’s highlights, artist on the rise and morning tips to get your day started. I've always been touched by socially relevant films and documentaries, realizing the importance of social issues and current events which is the goal and essence of Skoll's production company. However, on that very rainy day in Oxford, seated at the New Theatre, I realized that just like the film and its soundtrack, live music could turn into a very powerful tool to deliver a message about social and environmental issues. Last week I met a young man who is about to major in environmental engineering. When he found out I blog about climate change, his first question was, "Is it already over?" Clearly he intended to be provocative. TIME magazine just published its "25 Moments That Changed America" list, focusing on the 20th Century. I agree with most of the selections and am impressed with the essays that explain the choices. For most of they year I use artificial flowers in my home to achieve the same effect as real flowers. As an animal-loving person there are two things to be aware of when buying artificial flowers: What they are made from and how they are made. Niche clientele. Developers of New York City's residential real estate market have been designing properties suited for buyers with a specific focus, including the health-centric buyer and the swimming buyer. Managing change while confronting the onslaught of converging social, economic, and environmental issues that challenge humanity requires all generations to work together. Investors need strong signals on sustainability performance--signals that cut through the noise. Toward this end, corporate sustainability ratings must focus on what really matters, not just quantity of corporate ESG disclosure, but quality and materiality. Increasingly, governments, businesses, and consumers are trying to get there arms around complex and converging sustainability-related risks: climate, resource scarcity, food supplies, geo-political conflict, economic inequality, disease, hunger, human rights, and so on. Solving São Paulo's water crisis will require drastic short-term actions. But for other cities in which growth is out of sync with water supplies, one relatively simple strategy can go a long way toward avoiding a similar crisis: employing nature as an ally. Cities that invest in protecting their watersheds can achieve three goals. The Seattle Times ran an article whose headline was so unsurprising I almost didn't read on: "Oil industry not buying Gov. Jay Inslee's cap-and-trade plan." No surprise right? So many people working to battle climate change in every corner of modern life, but still, is it enough? We're long past the carbon limit over which humans cannot survive long term, and we're nowhere near burning all the fossil fuels we'll need to support our energy needs. Since Senator Ernst failed to mention global warming, it's safe to assume Republicans will continue attempting to change the country's course by sidetracking the Obama Administration's climate change initiatives. Will the Pope Go Vegan? Surprising even myself, I will be reading the encyclical on ecology the Vatican will be releasing in June or July. However, one question does loom, call it the "cow" in the room if you will.